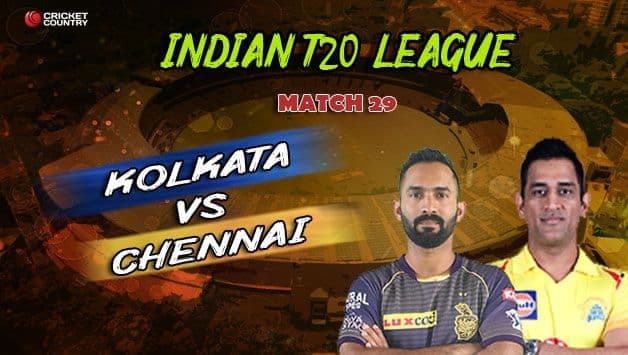 Welcome to our coverage of Match 29 of the 2019 IPL in which Kolkata Knight Riders host Chennai Super Kings. Chennai Super Kings (CSK). 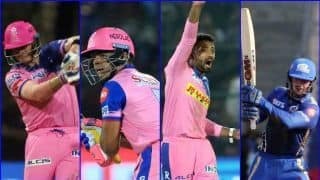 have managed to hold their nerves for the nth time and sealed a five-wicket win over Kolkata Knight Riders (KKR) in the 29th match of the Indian Premier League (IPL) 2019 at the Eden Gardens in Kolkata on Sunday. 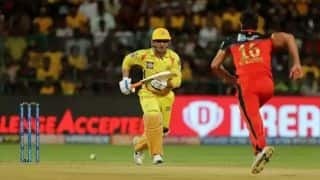 While Suresh Raina held the CSK innings together, it was Ravindra Jadeja’s quickfire 31 off 17 balls that helped the defending champions cross the finish line. 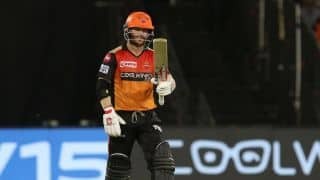 Also, not to forget the role played by Imran Tahir, who scalped four wickets to restrict KKR to 161/8, to set up this win, which was CSK’s seven from the eight game. After not featuring in KKR’s previous game, Chris Lynn made a sensational comeback as the Australian hammered 82 runs. 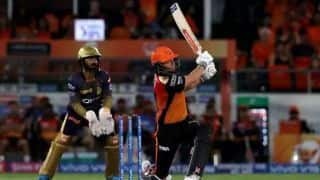 But while he batted brilliantly, his fellow KKR batsmen failed as Imran Tahir ran through the home team’s batting line-up, scalping four wickets, including two two-wicket overs. While Russell started with a bang, his stay was short-lived. Now, the onus is on KKR bowlers, who have struggled in the tournament, to deliver the goods. 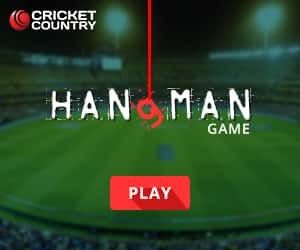 Will KKR manage to defend the 162-run target? A LYNNtastic 8⃣2⃣ helps us set CSK a target of 162. 20th over: 2 wickets in the final over for Shardul. He has done well today. 18 off his 4 overs and 2 wickets. KKR have been restricted t0 161/8. 4.55 PM: Stop him if you can! Imran Tahir is on a roll here. And also try and stop this guy! Faf has taken all the three catches. 4.32 PM: A Dhoni fan has landed from Bangladesh to support CSK. Safe to say, there’s a lot of support for KKR even as there’s plenty of cheer for Dhoni. 3.57 PM: KKR fans, have you begun the chants yet? Dinesh Karthik: We need to bat well. It’s important to hit the right areas when we bowl. It’s been a flat wicket and it’s difficult to take wickets if the batsmen get going. Lynn and Narine are back and Gurney is back in place of Ferguson. Very positive and looking forward to this game. 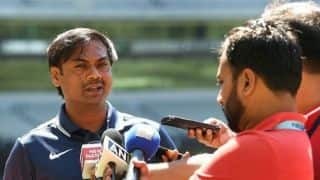 MS Dhoni: We’ll bowl first. If you see the wickets, they have been good over here. It’s difficult to contain batsmen here, hence we need the opposition to put the runs on the board. We have had a few niggles and concerns but not particularly worried about that. Hope that Bravo comes back as soon as possible, he gives a balance to our side. Without him being there, we need to find the right balance. We have chased down totals, so I think we are in a good space. We are playing with the same side. 3.30 PM: TOSS: MS Dhoni has won the toss and Chennai Super Kings have elected to field against KKR. 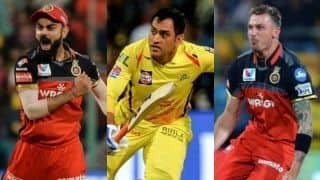 It wasn’t too long ago that Chennai Super Kings (CSK) and Kolkata Knight Riders(KKR) had met in the Indian Premier League (IPL 2019). 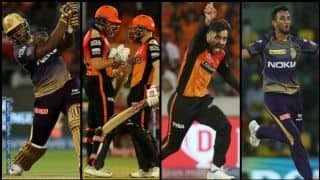 As a matter of fact, it was just four days back that CSK got the better of KKR rather comprehensively by seven wickets. 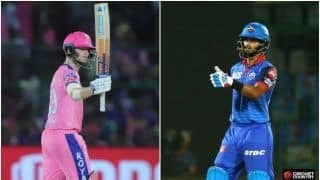 Since, CSK have continued their winning momentum, clinching a last-ball humdinger against Rajasthan Royals (RR), while KKR have endured a second consecutive defeat, a result that might just be beginning to become dangerous, considering how the likes of Mumbai Indians (MI) and Delhi Capitals (DC) are starting to climb up on the leaderboard. 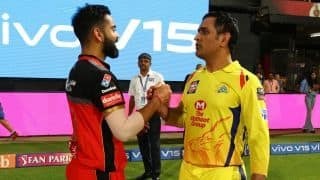 For most part of the tournament, the CSK-KKR encounter was billed the battle of the top two sides, and as per the standings, they still continue to take the first two spots. 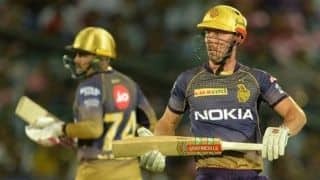 However, KKR is one of the four teams with eight points, on top only due to a superior run-rate, but Mumbai are starting to peak at the right time and one more defeat going forward might see KKR slip down the rankings and play catch up.